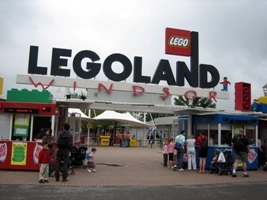 Legoland Hotel has appointed The Solutions Company to handle its sales in the build-up to its March 2012-scheduled completion, when it will open its doors to C&I organisers. For businesses, the hotel will include a dedicated event area that can accommodate 150 people, a syndicate room and executive lounges. The hotel itself will adhere to the spirit of Lego, with features such as a dragon-guarded entrance, interactive Lego features, a brightly-coloured pirate splash pool and themed bedrooms. Liz Wood, director at The Solutions Company, said: "The new Legoland Hotel is an innovative and exciting project. "With its mixture of fun and unique Lego styling matched with flexible and high quality corporate facilities, it has all the potential to be a first class conference and incentive destination in the UK."